The importance of an elegant, comfortable bathroom can’t be overstated. 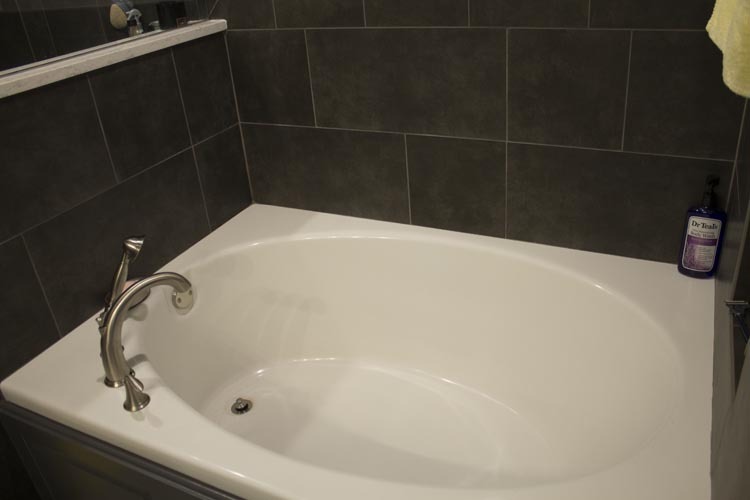 When our client came to us interested in remodeling their master bathroom, we knew it had to be something special. We started from the ground up, completely remodeling the entire room — no surface went untouched! New flooring was the first item on the list. 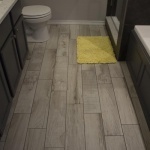 We replaced the old tile with something unique — weathered-wood tile. Though it has that classic look of weathered wood, it still has the strength and stability of traditional tile (and it’s easy to clean)! 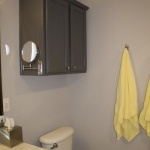 Next came the cabinets — they got a fresh coat of paint to match the new dark tile of the shower and sink backsplash. 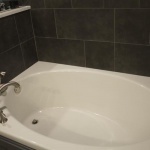 We even replaced the bathtub skirt, matching the same dark colors of the rest of the cabinetry and tile. We added recessed LED lighting to the entire room for a more modern lighting experience. The sinks were a bit of a special project. Everyone knows that countertops are particularly important in any home — they have a powerful ability to set the tone for the entire room. Which is why we picked a material for these sinks that you just don’t see every day — quartz countertops! We combined this with sinks that are both beautiful and functional, each having a rectangular shape to take better advantage of the available space (while also keeping messes on that luxurious countertop to a minimum). 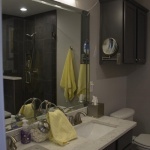 Brand new faucets topped off these stunningly updated his-&-hers sinks, but we didn’t stop there! The shower needed to be brought into the 21st century, and nothing quite says modern like a frameless shower! 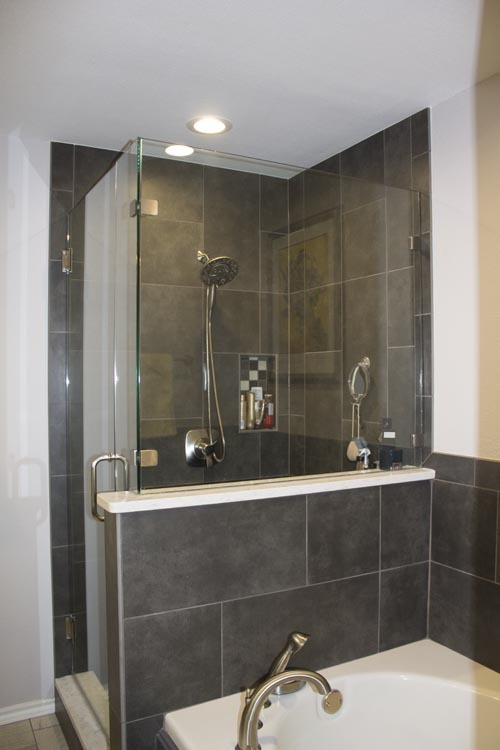 This sleek, modern, frameless shower gives the home a little touch of elegance. 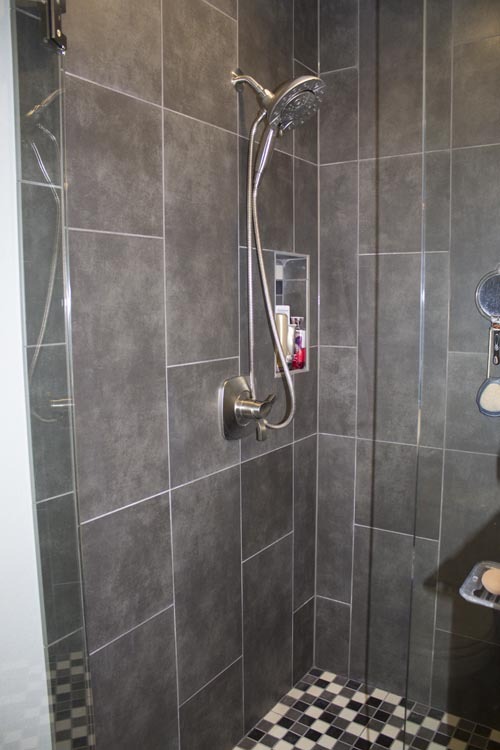 The new tile on the floor and the wall help the shower fit nicely into the overarching design of the room. But the real focus is the shower head. No matter how exquisite the rest of the bathroom is, a poor-quality shower head can really ruin the experience. A combination wall-mounted and handheld shower head (with about a million jets) takes showering from a chore to an experience! 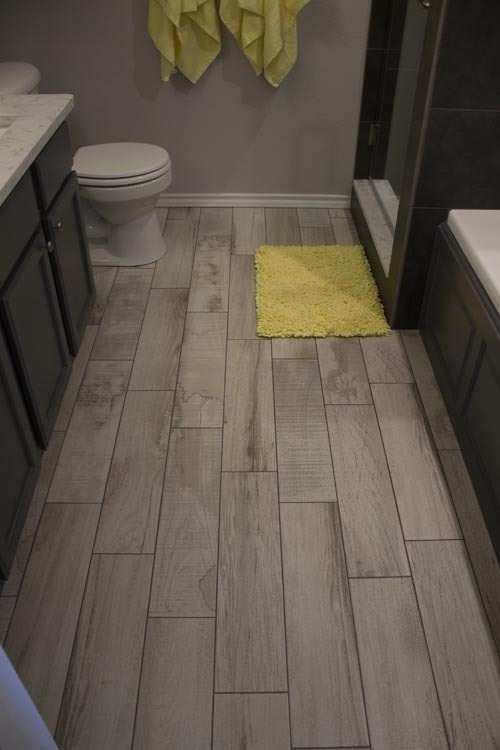 Stately weathered-wood tiling sets this master bathroom off from the competition! New tile and skirt for the already-gorgeous master bath. The frameless shower provides a touch of elegance — feel like you’re in a resort yet? 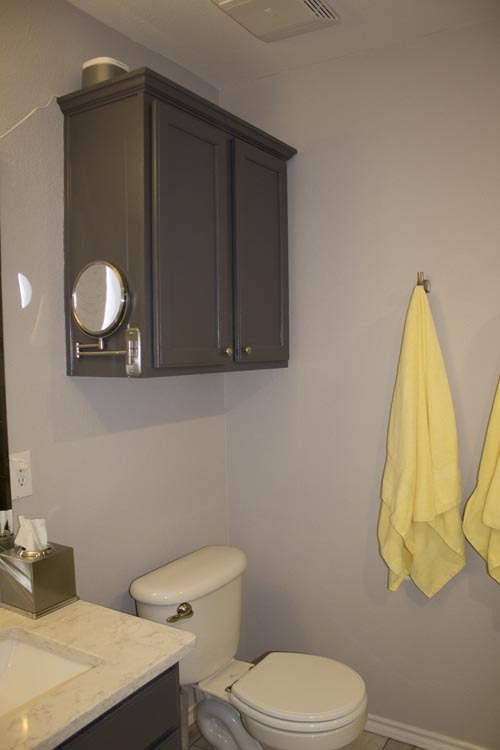 New painted cabinets provide plenty of space for every need. The new mounted mirror makes morning makeup satisfyingly simple. Recessed LED lighting adds to the feeling of modern. Gorgeous quartz countertops. Elegant new tile frames the combination wall-mounted and handheld shower head. We all have long days, but now this family can wash away the cares and worries of the week while surrounded by splendor. 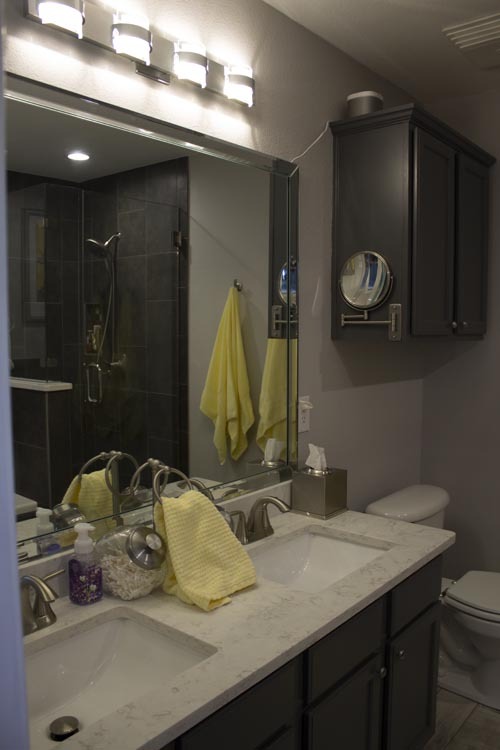 Ready to remodel YOUR master bath?